With the premiere of the docudrama on the genesis of Doctor Who, An Adventure in Space and Time, at the British Film Institute at 8:20 p.m. tonight, London time, the Radio Times has today published three articles on the film. 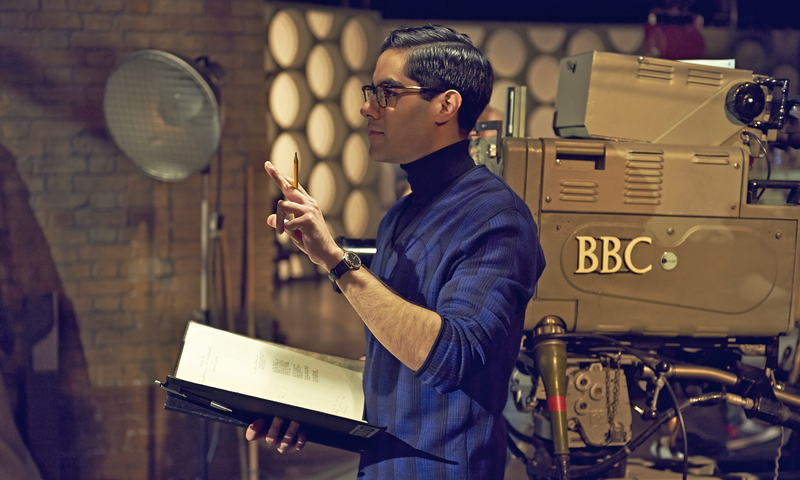 Extensive on-set interviews were conducted with Sacha Dhawan who plays Director Waris Hussein; Jessica Raine who plays the first Producer Verity Lambert; and with the Director and Producer of the show, Terry McDonough and Matt Stevens. You can access the articles here, here and here. Another new image from An Adventure in Space and Time appeared on Twitter today. The Doctor Who Mind Robber believes that the image derives from the current print edition of the Radio Times. Six Seasons Down, 27 to Go!